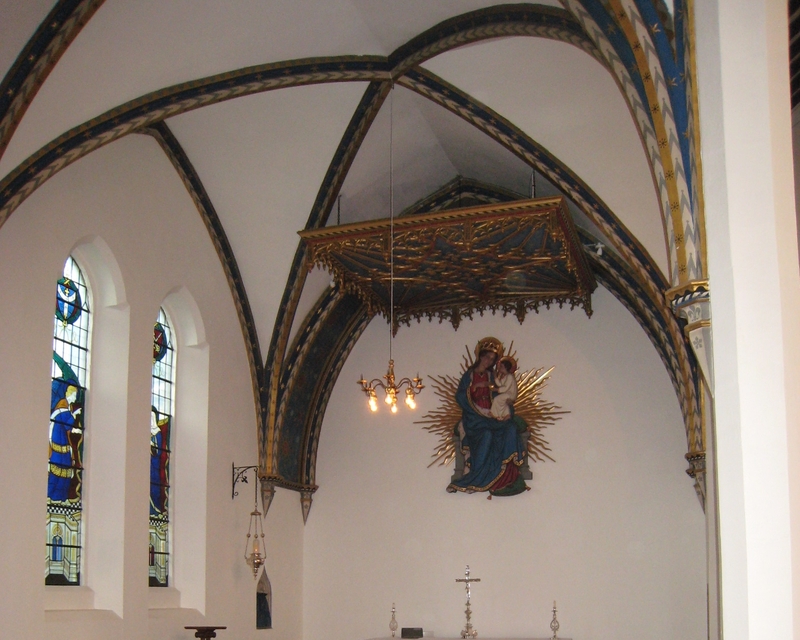 We worked in partnership with Jonathan Louth Architects to refurbish and upgrade 14 light fittings at St John the Evangelist Church in East Dulwich. The project was part of the church’s desire to update its electrical services and make them better suited to the needs of a modern church. We were appointed for the project at the recommendation of Bruce Kirk, advisor to the Diocese of Southwark. Our specialist team took down the church’s light fittings (originally designed by JBS Comper), restored the gilding and adapted the fittings to accommodate the latest energy saving lamps. They were designed not only to use less electricity but to be as visually pleasing as traditional lamps.